Amazing light-up statue from the Ghostbusters movie! 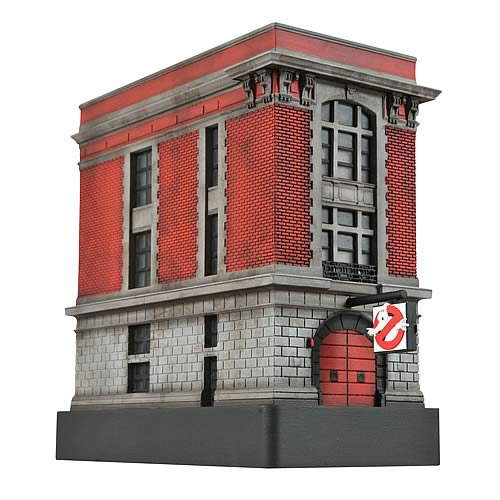 High-quality statue of the Ghostbusters' headquarters - the firehouse. A limited edition of 1,984 pieces! Light 'em up, boys! The light-up Ghostbusters statue line now includes the famous Ghostbusters firehouse. Lighted from within like someone just shut down the containment grid, this Ghostbusters Light-Up Firehouse Statue is a sensational accessory for any fan's desk. Measuring 7-inches tall standing atop a Ghostbusters logo-adorned base, this mini-statue faithfully recreates the iconic landmark. It's limited to only 1,984 pieces, so you'd better order yours now! Requires 2x "AAA" batteries, included. ages 8 and up.